Golden Rutilated Quartz Pendant - Just In! Larimar Pendant - New In! Chunky Rose Quartz Necklace - See More! Gorgeous Green Onyx Necklace - See All Onyx Necklaces. 5mm Silver Ball Necklace - New Addition! Peridot Bracelet - Always Green, Sometimes Found in Meteors! 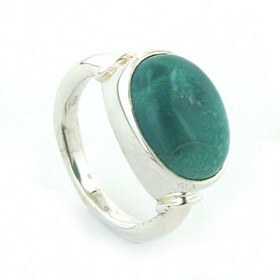 Given as a gift, turquoise is believed to bestow wealth and happiness upon its receiver. It's also good for your health, guarding against disease and aiding tissue regeneration. 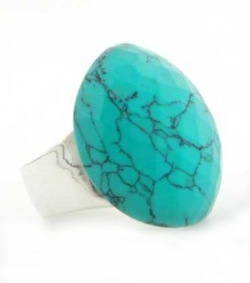 For more fascinating legend and facts about turquoise, read About Gemstones. 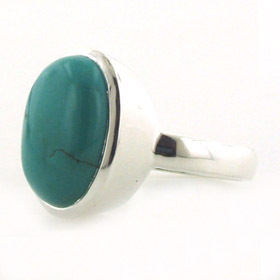 Shop for your sterling silver turquoise ring below. 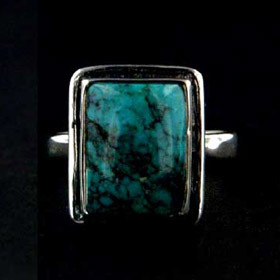 Turquoise rings have been worn by both men and women since the days of the ancient civilisations. 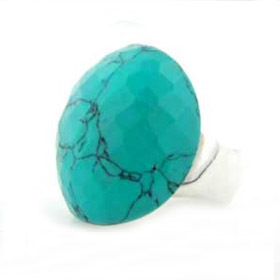 A turquoise ring is a great December birthday gift - turquoise is the December birthstone. @Booth and Booth co.uk All Rights Reserved.